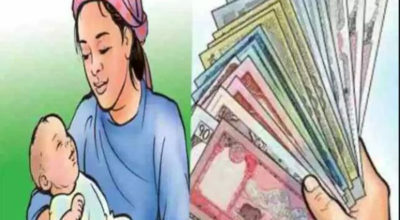 Urlabari ,Morang –With a view to promoting safe motherhood, the Kanepokhari rural municipality in Morang has decided to incentivize expectant mother with an allowance of Rs 6,800. The rural municipality has decided to provide an allowance amounting to Rs 5,000 while the health post is giving extra Rs 1,800 to expectant mother for delivering child at birthing centre of Bayarban health post in Kanepokhari-4. As the safe maternity incentive programme was mainstreamed into the annual budget of the fiscal 2075/76 BS, the decision to that effect had already come into action, spokesperson of the rural municipality, Sushil Budhathoki shared. Moreover, the allowance is applicable to all expectant mothers who want to deliver child at the birthing centre of the same health post irrespective of any territory. In addition, the health post will also bear the ambulance cost of Rs 2,000 if any mother in labour is referred to another hospital, informed Health Post Operation Committee Chairperson and Ward-4 Chair Dhan Bahadur Rai.